Holistix Early Help is a secure, multi-agency accessible platform. Used extensively within the Public Sector, Holistix Early Help is designed to support interventions with families, while considering all we know (a holistic view) of each individual person. These days it’s much more common to find Multi Agency Teams, e.g. Health, Social Care, Universal services, working together in an integrated way to support the needs of individual people. Working together entails sharing information in real time, not with everyone, but certainly with those practitioners who are engaged with the individual. The Holistix approach has been developed by clients over the past 5 years in response to serious case review outcomes, where lots of teams knew something, but no one could see everything. Holistix allows knowledge to be shared and more timely and effective interventions to occur, leading to improved outcomes. 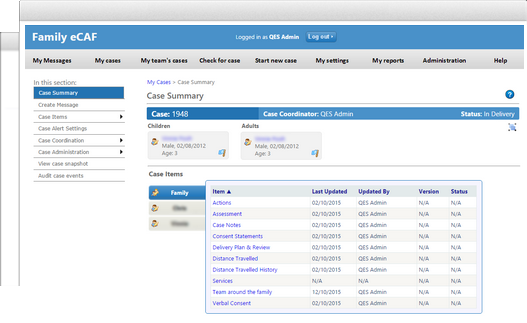 Holistix eCAF is a flexible assessment tool which supports your local early intervention agenda. The solution is a re-creation of the de-commissioned National eCAF system with additional functionality and added flexibility. Holistix eCAF retains the many positives of the National system it replaced, but the much needed evolution it deserved. The eCAF solution is securely accessed and can be used by any authorised person with access to the web regardless of their agencies network connection. The early help assessment form and processes can be localised to match your current practice and can be adjusted in the future as your procedures change. The SEN reforms require a fundamental change in ethos in the way Children’s Services and partner agencies work with families. Central to the reforms is the proposal to replace Statements of Special Educational Need and Learning Difficulty Assessments with a new 0-25 Education, Health and Care Plan (EHCP). This will support the children and young people and their families and multi agencies to focus on desired outcomes and only ‘tell their story once’. The Holistix approach to EHCP has already proven itself to aid change in the culture and working practice based on the guiding principles of partnership working between children, young people & their families and professionals. In addition, by giving direct access to families, supports transparency of recording and decision making for all concerned. 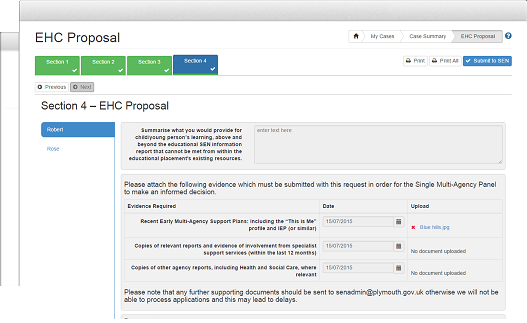 Holistix SEND from QES has been designed with local authorities, as a multi agency online platform to case manage the EHCP process.